Hypertext pre-processor(PHP) is a server-side scripting language designed for web development. 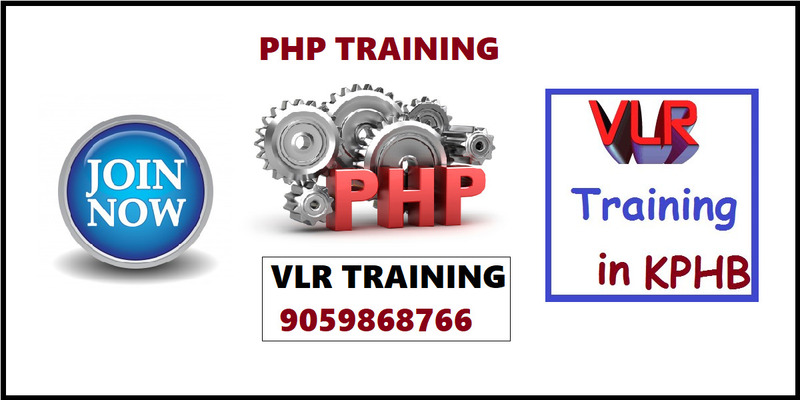 PHP is a widely-used general-purpose scripting language that is especially well-matched for Web development and can be embedded into HTML, VLR Training provides detail PHP training videos by who are 6+ yrs of work experience. PHP runs on different platforms (Windows, Linux, Unix, Mac OS X, etc.). What Learning Benefits Do You Get From This PHP Training Institute? Candidates will be able to create web pages that are dynamic. The training program also entails MySQL and PHP fundamentals and also an introduction to Code Igniter. It also trains participants in integrating database using MySQLi extension of PHP. This training empowers the students to develop an Image Upload Website with PHP.